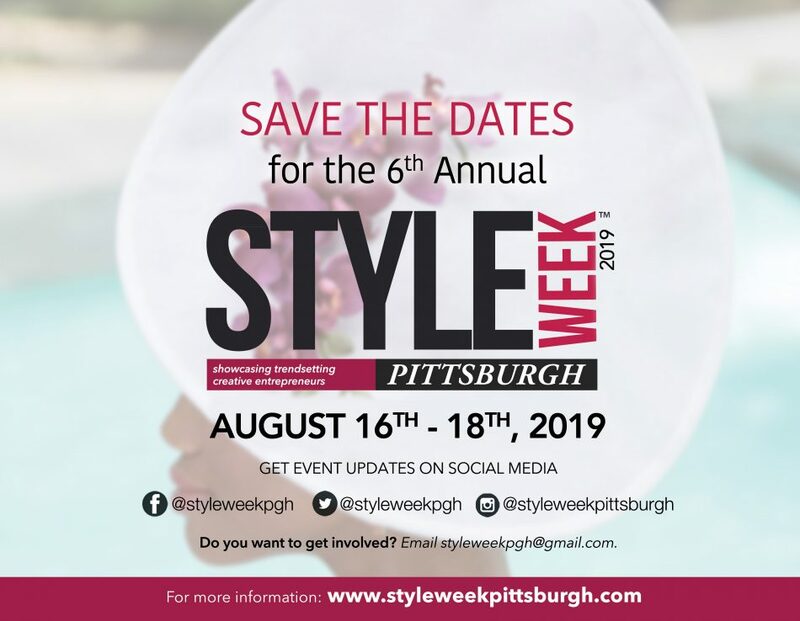 SAVE THE DATES AUGUST 16th-18th FOR STYLE WEEK PITTSBURGH 2019! Last month, Style Week Pittsburgh held a Holiday Fashion Mixer at V Lounge to celebrate a fabulous year in fashion and to recognize 10 talents to watch in the new year. These individuals are making a lot of progress in their respective fields and we predict that 2017 is the year that they’re going to break out. Not pictured are Danielle Green who was recognized for launching Supreme Beauty Bar and Portia Foxx for her accomplishments in Broadcast Journalism. Check out more pictures from the event. Guests looked fabulous! Fashion designer Leesa Kassler is flanked by models Tesha Lovelace and Jenny Lou who are wearing her designs. Brazilian fashion designer Lana Neumeyer shown with one of her creations. Many thanks to Larrimor’s for sponsoring Swag Bags for the event and Ray Feather Photography for capturing some beautiful moments. This entry was posted in events, Fashion, holiday, Style and tagged 10 to watch, 2017, Events, fashion, holiday, Style &, Style Week Pittsburgh. Bookmark the permalink. Reblogged this on STYLE & STEEL.